You can sear, brown, and saute to your heart's content with the All-Clad Tri-Ply Stainless Steel Saute Pan with Lid, thanks to its first-in-class performance and the exceptional durability that is the hallmark of All-Clad's American-made cookware quality. 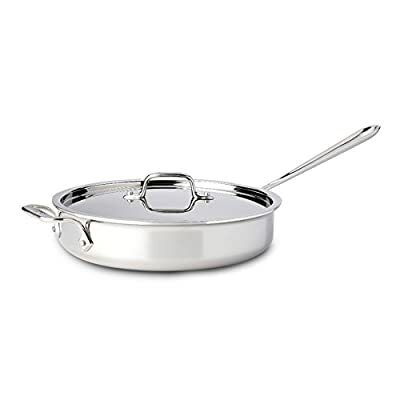 This premium saute pan features tri-ply stainless steel construction with a pure aluminum core for non-reactive cooking and even heat distribution. The starburst finishing on its interior offers great stick resistance. You'll need it, because you'll really enjoy cooking with this pan's large surface area and tall, straight sides, which reduce splattering and allow for easy stirring and turning. The dual riveted handles are an especially useful feature: a long, stay-cool stick handle, and an easy-grip loop, both made from cast stainless steel. The snug-fitting lid locks in moisture and heat, for superior cooking performance that's always a pleasure. 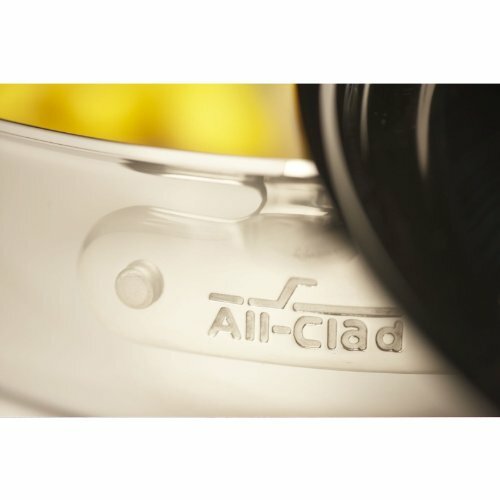 About All-Clad Founded in 1971 in Canonsburg, Pennsylvania, All-Clad Metalcrafters produces the world's finest cookware in its Southwestern Pennsylvania rolling mill, using the same revolutionary processes that they introduced forty years ago. Today, All-Clad is the only bonded cookware that's handcrafted by American craftsmen using American-made metals. Originally founded to meet the highest standards of professional chefs, All-Clad has become the premier choice of cookware enthusiasts of all experience levels, from world-class chefs to passionate home cooks in everyday American kitchens. 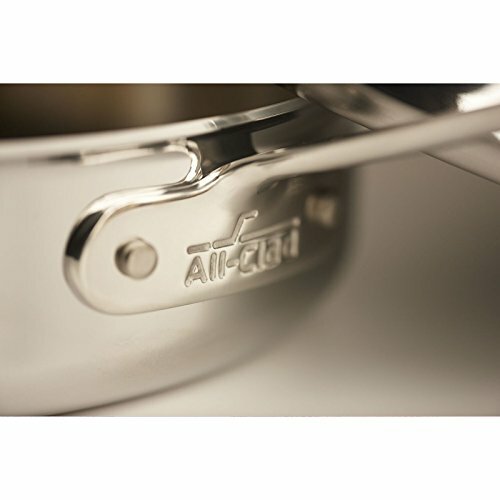 The unsurpassed quality and performance of All-Clad cookware is derived from its innovative roll bonding process, which uses a proprietary recipe of metals. Cladding is applied not just to the bottom, but also up the sides of each All-Clad cooking vessel, providing outstanding heat distribution and reliable cooking results.